A servant ministry to the hurting church leader and believer. After 23 years of pastoring churches we reached total burnout and something deep inside us died. We have been there, done that, bought the T-shirt, and worn the T-shirt out! We know how you feel, and with the help of some great friends who serve on the board of Smoldering Wick we have recovered to a whole new relationship with Jesus. We want to help you! Please feel free to give us a call at (918) 919-1490, or send us an email at (helpforpastors@gmail.com). We care. We love you, and we want to hear from you! 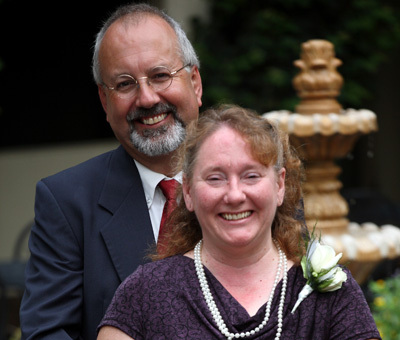 Smoldering Wick Ministries was founded by Kim and Kathy Wenzel, and this is their story. Kim and Kathy served in pastoral ministry for 30 years. From 1980 to 2000, they served as senior church pastors in Canada. Their personal journey to burnout began with the death of Kim’s father. The day before performing his father’s funeral, Kim was given a sealed letter written by his father, informing Kim for the first time that his father was not Kim’s real father! Upon returning to Ontario to resume pastoring two congregations, denominational upheavals began. As the denomination started falling apart worldwide over doctrinal issues, Kim and Kathy began walking their two legalistic congregations out of religion and into salvation by grace through faith. The next few years were filled with daily turmoil, and became a living hell as brethren struggled in their minds with the difference between legalism and grace. Not everyone could accept the unconditional love of God through Jesus Christ and division resulted. The end came after a prayer journey to Nepal with Pastor Ted Haggard of New Life Church in Colorado Springs. Upon returning to Canada, Kim and Kathy were fired by denominational leaders for being too involved with other groups outside of the denomination and for being too progressive for the legalistic denomination. In many ways it was a great relief. In 2000, Kim and Kathy and their four daughters moved to Colorado Springs to become a part of New Life Church. Kim led a rock climbing small group, and Kathy loved teaching music at High Country Home School Association while teaching and caring for their four daughters. The launch of Smoldering Wick Ministries marked a new direction for Kim and Kathy, helping the thousands of burned-out and wounded ministry leaders. For two years the ministry was based in Colorado Springs. Kim and Kathy searched for afforable land to establish a retreat center. The door opened in Northeastern Oklahoma in November of 2003, where God provided 30 beautiful acres on the Spring River. Now the hurting and wounded can come and stay at Elijah’s Hide Away Retreat for rest and to receive counsel, teaching, and love. Kim also travels around North America teaching Tree of Life living and ministry in an effort to help slow the burnout rate among both lay members and leaders. With approximately 1,000 ministry leaders leaving their posts each month in North America the need to help these wounded servants is great indeed. Having personal experience in spiritual bankruptcy, disgust with the church, and anger and disappointment with God, Kim and Kathy truly relate to these hurting leaders, and help them on the journey to complete healing and renewed service. Their hearts are filled with love and understanding for those who are often forgotten by the church and left on the roadside to fend for themselves. The Father heart of God is tender toward those who have suffered trauma as a result of misjudgment and misunderstanding in the Body of Christ no matter what the cause or sin. Fired! or Rescued by God?